Further to the problems of flooding in Central France over the past few weeks. My previous blogs on flooding in the Loire Basin have had an unusual number of daily hits! Today, France is finally opening up police and ministerial archives from the Vichy regime which collaborated with Nazi occupation forces in World War Two. More than 200,000 declassified documents are being made public. They date from the 1940-1944 regime of Marshal Philippe Petain. 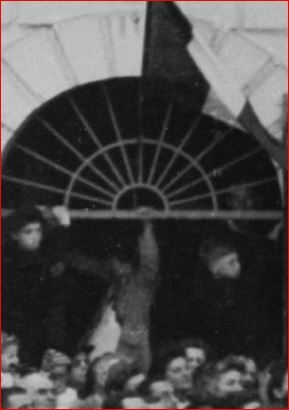 Amongst other issues, the documents should shed light on the deportation of some 76,000 Jews to Germany by officials of the regime (see image above) – and will be of interest to those in the Touraine region which straddled the Demarcation line. This portrait of Marcel Marceau, using oils on concrete, is by Francine Mayran. She painted it in order to “transmit his courage against the devil, and his humanity which stayed stronger than Nazi barbarism”. It is part of a series, “witnessing these lives – témoigner de ces vies ” where she attempts to transmit the humanity of victims by recalling that behind the numbers of victims of barbarism there were women, men and children all with their own identity and individuality. Here’s a fascinating photo of the liberation celebrations of Descartes in on a sunny autumn day in September 1944. The population of Descartes at the time was about 1,500 and it seems that up to a half of them were in the town square to celebrate. 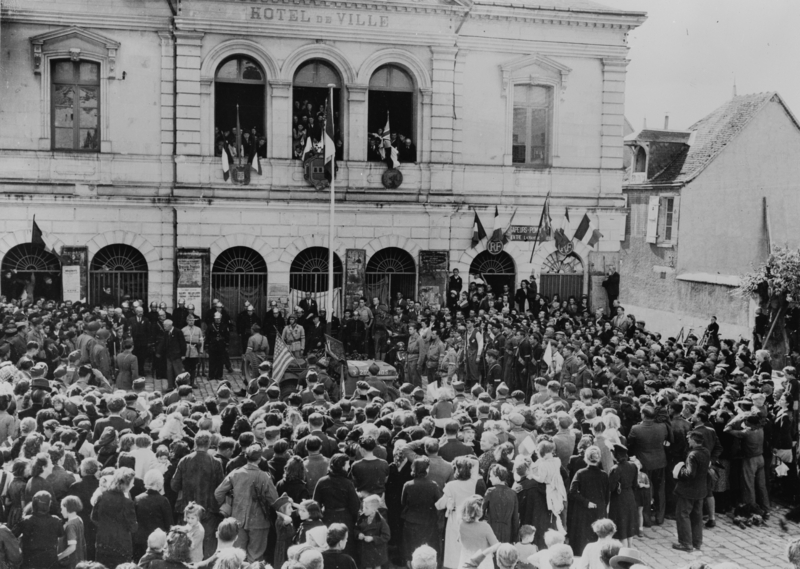 The resistance against Nazi occupation was well organised in the district as the Conte-Freslon and, among other actions, on 31st August 1944 the Forces Françaises de l’Intérieur (F.F.I.) blew up the town’s bridge, Pont Henri IV, on the Vienne/Buxeuill side of the Creuse. Naturally, the local resistance fighters were represented in the Liberation celebrations and you can see that they are still operational and carrying their weapons.